The Active 4.5” Tri Short features 70-denier SBR SKIN fabrication for muscle support and durability, as well as a SPEEDLINE CHAMOIS for discreet support. This highly durable range will help you remain powerful, cool and comfortable from start to finish. The Perform 7” Tri Short delivers the advanced support required to conquer the rigors of triathlon. SBR POWER is built to control muscle stabilization and support your lower body for unmatched power and durability, while our exclusive LD CHAMOIS provides essential cushioning for the ride, but a discreet feel on the run. the Compression Tri Short promises superior ventilation and power. PWX 105D POWER MESH fabrication with muscle mapping ensures muscle stabilization for greater power output on the bike and the run, while muscle oscillation support reduces fatigue for greater endurance. The Perform 4.5” Tri Short delivers the advanced support required to conquer the rigors of triathlon. SBR POWER is built to control muscle stabilization and support your lower body for unmatched power and durability, while our exclusive LD CHAMOIS provides essential cushioning for the ride, but a discreet feel on the run. The Core Tri Short is designed with high-quality Italian eco-friendly fabrics, made from recycled nylon. Providing comfort and speed in both running and cycling, the Italian-made Tri-tech chamois, designed specifically for women, lets you pedal with ease, while the elastic grip keeps the short in place at all times. Developed for our young triathletes in the making, the Zoot Protege Tri Short is a must-have for kid-sized Zoot quality. Plush riding comfort without extra bulk. The Ultra Tri 6" Short boasts an Ultra TT CARBON Chamois. Enjoy 8mm of ultra density padding in the front and 3mm in the rear for maximum comfort and minimal bulk. Enjoy the long ride in the Ultra Tri 6" Short. 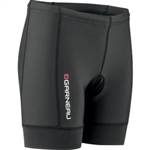 Three pocket Triathlon short with graduated compression for dynamic muscle support and optimal performance. Features a 7-inch inseam. The Carbon Tri Short is features advanced stretchable and compressive fabrics to provide you with total muscle support for your swim, bike, and run. Inseam: 8 inches. The Tri Power Lazer, is compressive and treated with coldblack® to reflect heat. A 9.75" inseam provides full muscle support and is finished with a compressive lazer-cut thigh gripper that does not restrict circulation. Engineered from SBR POWER fabric, this X-VENT 7” Tri Short for Women, offers enhanced strength and durability for increased power. Built with POWER MESH technology, this garment is highly flexible and light weight allowing for impressive, long lasting performance. Complete with flatlock stitching for comfort and a reinforced waistband for a premium fit, this is a true triathlon essential. This Hawaiian inspired Zoot Women's Ali'i Tri Short is perfect for race day and training days alike. The plushest cycling short around, you'll love going the distance in the women's Cycle LTD Short. Zoot’s premium Italian fabric ensures the very best in moisture management, comfort and durability, while the anatomic patterning provides a superior on-the-bike fit. Kid-sized Zoot quality, the Zoot Protege Tri Short was developed specifically for our young triathletes. Function and fashion were combined to create the Tri LTD 6" Short. Integra SBR 2D pad construction provides support where you need it most without being too bulky. Sublimated Italian fabric helps keep you dry and comfortable, making the women's Tri LTD 6" Short a perfect combination of function and fashion. The women's Performance Tri 8" Short gives you more support, more coverage and more sun protection with the longer 8" inseam length. Hip Holster pockets provide perfect nutrition storage while the double layered integrated fleece pad provides protection without bulk. This 4" triathlon short is packed with features to keep you comfortable. The Integra SBR 2-dimensional chamois has the perfect amount of padding for biking without being bulky on the run. The yoga waistband has a drawcord for a stylish and secure fit. Stay warm this season riding your TT bike. The Performance TT Knicker has 6mm of padding up front and 3mm in the rear. Finally, a chamois built for long hours in the aero position, this knicker has set a new standard. 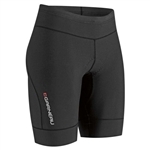 With a minimalist chamois, the Jr Comp 2 Shorts offer compression and support for swimming, riding, and running. The LG Junior Triathlon Suit will help younger triathlon progress to the next level. Plush long distance comfort makes the women's Cycle Team 7 inch Short the ultimate riding partner. Zoot’s Italian fabric ensures the very best in moisture management, comfort and durability, and anatomic patterning for comfort in the saddle. 2XU's Perform Compression Tri Short takes triathlon engineering to impressive heights. Utilizing 2XU’s leading 105D/CK and SBR POWER fabrics for essential muscle containment, enhanced circulation and reduced lactic acid, wearers will feel supported and ready to race. The Youth Protege Tri Short is great for younger triathletes, and features quick drying Endura fabric and a 5 inch inseam. When its time to race or train, pull on Zoot Performance Tri Shorts (8-inch) for outstanding comfort, breathability and moisture management. When its time to race or train, pull on Zoot Performance Tri Shorts (6-inch) for outstanding comfort, breathability and moisture management.